Two days away…Are you ready? I’ve heard from most of you and the answer to that question has been a resounding yes! Below is the final list of participants. Is that list a thing of beauty, or what?! Please check this list and confirm that you’ve got the correct links in your text or on your “Go Back” and “Go Forward” buttons. If you haven’t copied and inserted these buttons into your blog post, please visit the VVP Page to get them. Detailed instructions are available there as well. If you’d like to add a Virtual Vegan Potluck button to your blog, you can find that on the VVP Page, too. 1) For those of us in North America: please publish your posts as soon as possible on May 12. As I mentioned earlier, I will be scheduling mine to publish automatically at midnight on May 11. For those wonderful bloggers joining us from the U.K., the Continent or Australia, maybe hold back a bit before publishing your posts. Give the rest of time to wake up, stretch and down a slurp of coffee before we hit the Publish button. 2) Please double check your links to the blog that comes before you in the circle and the blog that comes after you in the circle. A broken circle means lost readers. 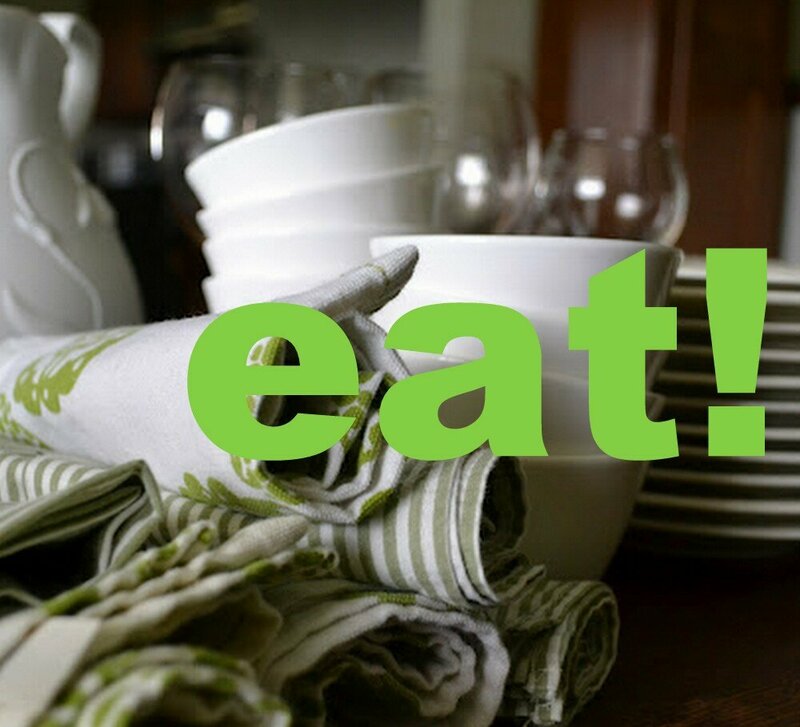 I will be eating my way through the Potluck and will try and check the links, but if you come across one that doesn’t work or if the blogger has not published their Potluck post, please let me know or contact the blogger directly. 3) Update your links either the day of the Potluck or the day after. The links should reflect the actual URL to the post, not the URL to the blog in general. For further explanation, visit the VVP Page. 4) Jason over at Watch Me Lose 150 Pounds had a couple of great ideas (good thing we added him to the list, no?). He’s planning on having an easy-to-print pdf file available in his post so readers can print out his appetizer recipe. If I knew how to do this, I’d offer one, too! His other fantastic idea is to create an e-book of all of our recipes and make it available for purchase on Amazon.com at a very reasonable price. What do you think? I think we should give it a go. This is something we can put together – as Jason says – after the dust settles. 5) Another great idea came from Shira at In Pursuit of More – a Twitter hash tag. I am mostly clueless when it comes to Twitter, but this is a really great way to spread the word. Please use #virtualvegpotluck when Tweeting about the event. 6) I want to thank you all once again for being a part of this world-wide plant-based blogging event. I’ve been continually amazed and cheered by your enthusiasm and support. Let’s hope we have a very successful Potluck and that it is the first of many! My pleasure, you’re doing a truly amazing job, I’m excited about Saturday! Mine’s all ready to go as well. Publishes at 23:59 on May 11. Also, I added a big green “Go!” button near the beginning of mine that will take readers to Vegan Bloggers Unite! in case they want to start at the beginning of the potluck. Oh wow! A book of our recipes! That would be amazing. I’d love to load a PDF recipe, but I’m clueless on that…. Yeah…I *think* one has to have a pdf-writer, and well, I don’t, so…But maybe Jason will clue us in and it’ll be super easy! That would be nice! I hope you keep me in mind for the next one. I am literally buried this spring with work. I keep thinking my calendar will open up but then the event planner sticks another group in and I find myself cooking 7 days a week…..I really wanted to be involved but wanted to be able to give this project the attention it needs! Connie – open invitation ANY time! I’d love to see what deliciousness you would come up with!! Finishing touches and I’m all set! Stoked – love the e-book idea! Xo! Ebook and twitter ideas are fabulous. Glad that there are people who are more electronically inclined then I am out there doing this! Get on it Jason! We need you! I am typing up my post right now!! My only problem is that I am having a hard time figuring out how to link the pictures..but you gave a second option to have the sentence, “see what’s before my meal here” and link the word here. I know how to do this, so if I can’t link the photo and linking the text is ok then we’re all good!! Scratch that!! I figured it out! YES! I feel like a web genius. That and your directions were clear as ever! Thank you love! I’m all set and ready to post on the 12th! *crowd yelling/screaming/cheering noises* I knew you could do it!! Ready and excited 🙂 Jason’s ebook, pdf and twitter ideas are great!! I love it! Thank you Annie – you are amazing, girl!! Thank you so much again for putting this together. If everything goes just as what you listed, there will no hiccups. Looking forward to the potluck! Thundercats are go! 🙂 Thank you so much for all of the hard work you’ve put into this! What a wonderful way to connect so many like-minded people. I can’t wait to see what everyone has come up with. As to Chocchipuru’s comment- me too! I am thinking of writing up a background post once the dust settles. Thundercats – yes – haha! Thank you! It’s been a lot of fun and wow! so many new, great connections. A background post sounds like a superb idea! So excited and honoured to be a part of this! I’m so glad I kinda stumbled onto your site. right place at the right time I guess. Lol! Mine is ready to go too and set for May 11, 23:59. I’m away for the weekend, so I’m not going to be around to enjoy the whole experience unfortunately..but I’ll check on my phone on Sat. to make sure it’s published and the links work when it’s live, etc. Glad you found me and the Potluck, too!! You’ll get comments, don’t worry :-)! I’m expecting to see you in the NEXT line up! I absolutely LOVE the ebook idea sounds so nice! I am uber excited mine is set to post at 12:01 saturday… OMG im excited just talking about it!! I focused extra hard on posting and pictures this time… and I when I want to convert a file to pdf I use this site. I did it often during the school year http://www.freepdfconvert.com/ it takes your uploaded word files, converts them, then emails them to you in a zip file depending on how big it is. Then you can just download it and open. I would love to get in on this is there still time?